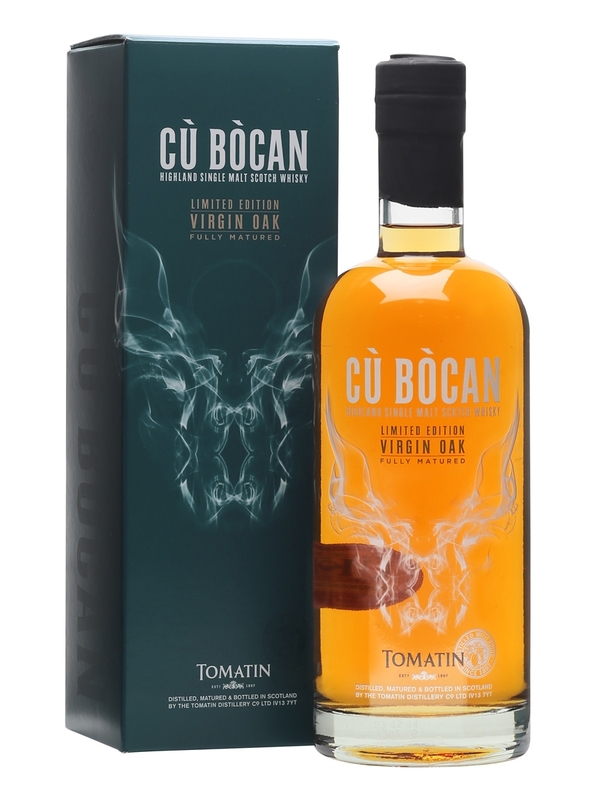 This whisky has been matured for the entire maturation in virgin oak. 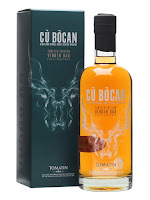 The name Cu Bocan arrives from a mythical hellhound that are haunting the village of Tomatin. The smell is very smooth and light fruity. After a couple of minutes in the glass some peaty notes appear with some marzipan and vanilla. The first sip shows that the taste is peated, but it is definitely not Islay peat. More like smoked ham and very subtle peat. I also get some burned oak and a lot of sweetness. The finish is lighter in the peat and smoke and lots of sweetness stays. A lot of things happens when you experiment with water, so don’t be afraid to try give it a go. A fine whisky and a virgin oak edition that is actually virgin oak all the way! I will give this 86/100 (21/22/22/21).